When you think or talk about snoring, it is usually associated with adults. It may sound surprising but many kids and babies snore as well. So if your baby snores while sleeping, it is not a rarity. Children can snore while sleeping for many reasons such as cold, allergy, enlarged tonsils and adenoids, clogged sinuses and overtiredness. 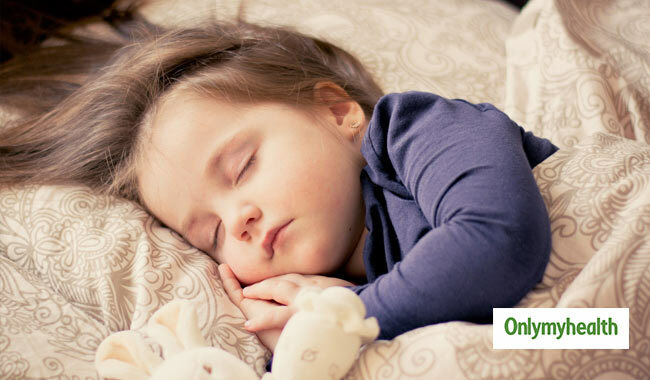 If your child snores occasionally while sleeping, you need not get worried. But if he snores regularly, then you should consult a paediatrician or an ENT specialist. Snoring is most often observed in children between the ages of 3 and 5—but even smaller babies can snore while sleeping. If your baby snores while sleeping due to cold and his nose is stuffed up, then using a vaporizer or a humidifier can help. These things decongest the nose and make breathing easier, and the baby comfortable. 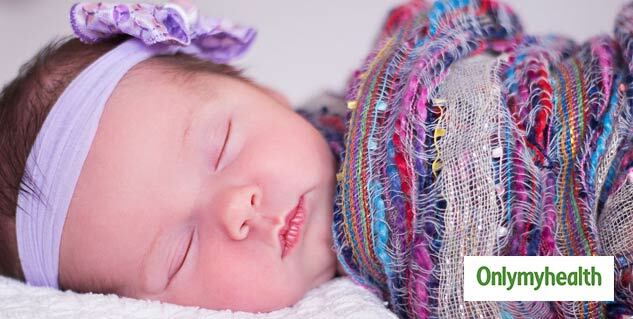 If your baby snores due to allergies, then avoiding several things can help. Keep the pets out of your baby’s bedroom, avoid soft toys and if needed your doctor may prescribe certain medication to control the allergy. Besides snoring, if your baby’s sleep is disturbed and he breathes habitually through the mouth at night, then he probably has obstructive sleep apnea. Children with obstructive sleep apnea may feel tired and irritable throughout the day due to disturbed sleep at night. Obstructive sleep apnea can be caused due to enlarged tonsils or adenoids and certain other reasons. If you feel your child had this disorder, consult your child’s paediatrician or an ENT specialist. The doctor may recommend sleep study and other tests, as required. If the problem is caused due to adenoids and big tonsils, the doctor may recommend medication and/or surgery. Many children with obstructive sleep apnea improve after surgery for removal of adenoids and big tonsils. Do not ignore snoring as it can lead to serious problems. If you think your child has persistent snoring or disturbed sleep due to snoring, consult his doctor. After examination, if required you will be referred to a specialist (Sleep Specialist or an ENT) who will give you all the details for newborn care.